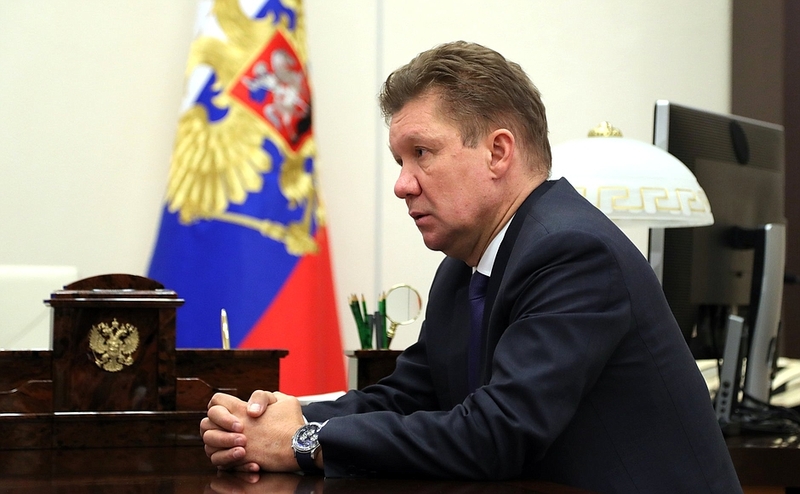 The CEO of Gazprom reported to the President Putin on the company’s performance in 2016. Mr. Miller, tell me about the company’s 2016 performance results and your plans for this year. Mr. President, in 2016 Gazprom produced a little over 419 billion cubic meters of gas. We delivered 2.3 percent more gas to the domestic market than over the previous year. I would like to note that the sectors of the Russian economy that required larger supplies were such fundamental industries as the power industry. Household gas supplies have increased by 5.7 percent. The growing energy consumption and, particularly, gas consumption are an indicator of the economic growth in the country in 2016. We have achieved record-breaking figures in gas exports to non-CIS states. In 2016, total supplies amounted to almost 180 billion cubic meters, with a 12.5 percent increase compared to 2015. These are historic figures. We have never seen such results in the Soviet Union or post-Soviet Russia. Gazprom’s share in the European gas market has increased by 3 percent to 34 percent over just one year. Our number one market, Germany, showed the highest growth in absolute figures. With an increase of 4.5 billion cubic meters, we delivered a total of 49.8 billion (10 percent more). We continue to post record numbers even now, at the beginning of this year. In the past two weeks, we have achieved a steady supply of over 600 million cubic meters daily to non-CIS countries. Mr. President, yesterday, on January 19, we set a new daily record of 627.2 million cubic meters of gas supplied to non-CIS countries. This is unprecedented. The Nord Stream main pipeline is operating to its full capacity. For over ten days, we have been transporting 167.4 million cubic meters, which is 11.1 percent more than its design capacity. Gas supplies to Russian consumers this winter have been stable. By the start of the autumn-winter period, Gazprom pumped the maximum possible volume of 72.1 billion cubic meters of gas. The daily output is the maximum in the history of the gas industry, amounting to 801.3 million cubic meters of gas. At the same time, average temperatures during the October, November and December were really low, below normal. But we have not been hitting the maximum peak volume of pumping, including the extraction and selection of gas from underground storage facilities. We have good reserves: our annual production capacity exceeds the average annual output by 150 billion cubic meters of gas. In 2016 we continued to carry out your instruction under the gas infrastructure development program. Over 1,800 kilometers of gas pipelines were built, gas infrastructure was built in over 270 towns and villages, and as of January 1, 2017, the program is 67.2 percent complete. We will continue this work in 2017. What are the plans for building gas infrastructure in the country? We plan to maintain the same numbers. Last year, we invested 25 billion rubles in the gas infrastructure development program. In fact, we can allocate more money, as we invested 27, 29 and 30 billion rubles in the past. Of course, this depends on the Russian regions, as the gas infrastructure development program is implemented as part of synchronization programs. Currently, we are finishing up our work to coordinate the program for 2020 with the Russian regions. The figures will at least remain the same as in 2016. Hopefully, they will increase. I would like to congratulate you once again on the Bovanenkovo project. It was a big job and the results have been very good. The work was started seven years ago, in 2009, after the Russian Government resolution was signed. For these seven years, we have gradually increased the volume of production at the Bovanenkovo field. As you know, the first gas supplies began in 2012 and amounted to only 4.9 billion cubic meters of gas. The Bovanenkovo – Ukhta gas pipeline was built. We gradually increased our production capacity and now we extract 264 million cubic meters per day at one field. We will continue or work and create Bovanenkovo gas field no. 3 by 2019 and will extract 115 billion cubic meters of gas per year by 2022. The Yamal gas extraction center is becoming the main one in Russia. The Bovanenkovo gas field accounts for 4.9 trillion cubic meters of gas. As I reported to you, the field will be used for the next 70 years in accordance with the extraction plan. In accordance with the plan to synchronize extraction and transport capacities, the Bovanenkovo – Ukhta 2 gas pipeline was put into operation. A critically important point is that the streaming scheme of gas supplies to the Russian regions is changing: the northern corridor is becoming the main one for supplying gas to the European part of the country, and the Bovanenkovo – Ukhta gas pipeline is becoming part of the new main route to supply Yamal gas across the Baltic to Germany. Vladimir Putin and Gazprom CEO Alexei Miller. Vladimir Putin. Meeting with Gazprom CEO Alexei Miller. 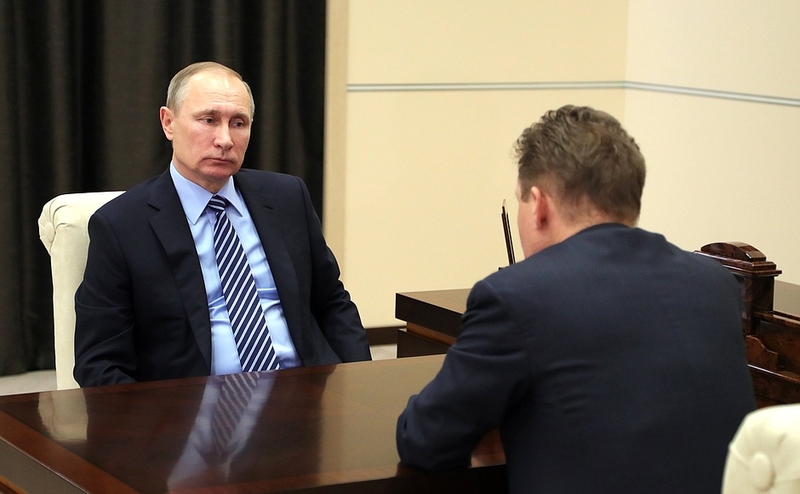 0 Comment to "Vladimir Putin met with Gazprom CEO Alexei Miller"